A photo showing veteran actor Pete Edochie and his family is currently trending online. The photo shows Pete posing with his wife and children. Many do not know that Pete has six children and some of them are captured in the photo including actor and governorship aspirant of Anambra state Yul Edochie. 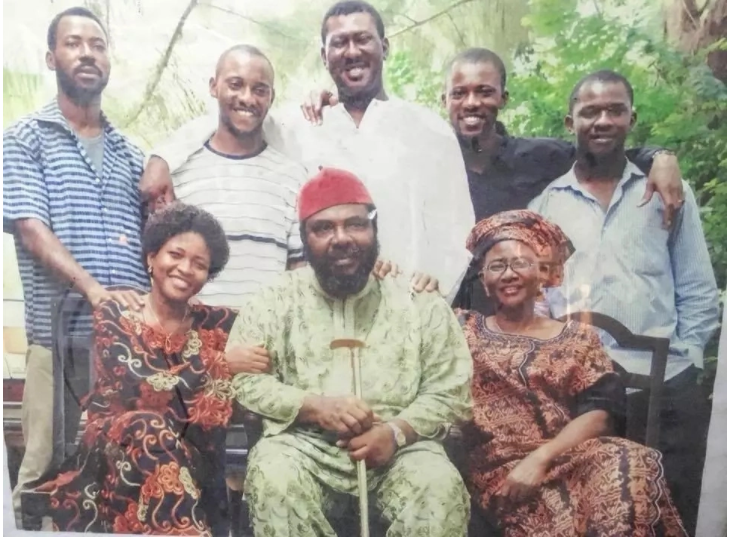 The photo was shared by Gene Edochie who discovered the photo while during a visit to their family house in Enugu. Once asked about his ‘big family,’ Pete answered that “His words were as follows: “I married early and had remained married since then. Why am I looking for a second wife? I married a woman who gave me six children, what could I possibly be looking for in another woman that I didn’t get from this woman?